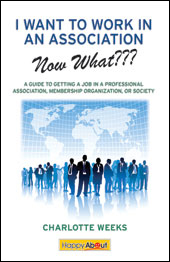 Enrich Your Career Through Associations | Find meaning at work and advance in your career. Have you thought about joining an association but questioned investing the time and money? It’s time to re-visit the subject. Seven out of ten adults are members of at least one association, which proves there must be personal or professional benefits. Listed below are three main ways joining associations can make a positive impact on your career. 1) Education: Furthering your education can make a dramatic impact on your career. Whether you are new to the job market or well placed within your career, you can still benefit from learning new skills or brushing up on old ones. By joining an association, you’ll likely save money on webinars, certification courses, etc., along with access to an abundance of free information through newsletters, blogs, and members-only meetings. Even if you only have time to utilize one of these resources, you’ll stay on top of industry trends. 2) Credibility: Being a member of an industry association looks great on your resume – period. It also indicates that you’re dedicated to growing within your field. An association membership provides an instant boost to your resume– the minute you pay your dues you can claim to be a member of that association. You can then highlight your membership with a logo on your website or LinkedIn page. 3) Networking: Associations provide one of the best ways to meet others in your industry. To maximize the benefits of networking, you should be doing it whether you are currently looking for a job or are happily employed. With so many associations out there, how do you choose which one is best for you? Ask your colleagues or do a Google search for relevant associations in your area (i.e. finance associations + Boston). Consider joining an association an investment in your professional future. This entry was posted in Job Search, Networking and tagged continuing education, industry trends, networking, Professional association, professional memberships. Bookmark the permalink.